Despite never being able to measure up to the Playstation 2, Microsoft’s X-Box was a one of a kind system that paved the way for the industry by offering great online features and the ability to do more than just play games. Here, we list 10 games you may have missed out on during the system’s original run. 10- Bruce Lee Quest of the Dragon: Yes, this is a terrible game, but it is so bad that it’s fun. The story makes no sense and the graphics aren’t up to the system’s capabilities. However, it is the best Bruce Lee game ever made and with a cool leveling-up system that allows you to learn new moves as you go through the game, this is at least worth a few hours of your time. 9- Tony Hawk Pro Skater 2X: Tony Hawk overlooked? In this case, yes. When this game was released everyone was playing “Tony Hawk Pro Skater 3,” forgetting that this is easily the best game in the series. With updated graphics and gameplay, this is arguably the greatest skating game ever made. Plus, you can play as Spider-Man. What else do you need? 8- Breakdown: On a system that was flooded with first-person shooters, “Breakdown” was a different type of game that had an interesting story. It’s not quite “Chronicles of Riddick,” but that doesn’t mean it isn’t a great game in its own right. 7- WWF Raw 2: It’s nowhere near the level of any PS2 grappler, but this is easily the best wrestling game on the system. Add in the ability to use your own music and you have an immersible experience that isn’t hampered by sloppy controls. It’s a great looking as well. 6- The Suffering: Easily one of the best action games of the generation and one that got “Midway” back in the spotlight, albeit for a little while. A great story and great graphics alone are enough to give this a whirl, but a boatload of thrills are more than enough to give this game a permanent place in your collection. 5- Links 2004: Best golf game on the system. A true shame considering Microsoft’s sports games never really hit the ground running. 4- Dungeon & Dragons Heroes: Many were steamed when this game was canceled on the PS2. Luckily it was still released on the X-Box. Not as solid as “Baldur’s Gate” or “Champions of Norrath,” it’s still an amazing action/rpg that will eat hours of your time. 3- Buffy the Vampire Slayer: Many see this game and never give it a chance. Not only is it one of the best games on the system, it’s also one of the best licensed games of all time. 2- Panzer Dragoon Orta: A classic on the Sega Saturn, this game never quite achieved the same status on the X-Box. A true shame. 1- Voodoo Vince: At first look, “Voodoo Vince” doesn’t seem like too enthralling an offering, but make no mistake, it’s a platformer with staying power. 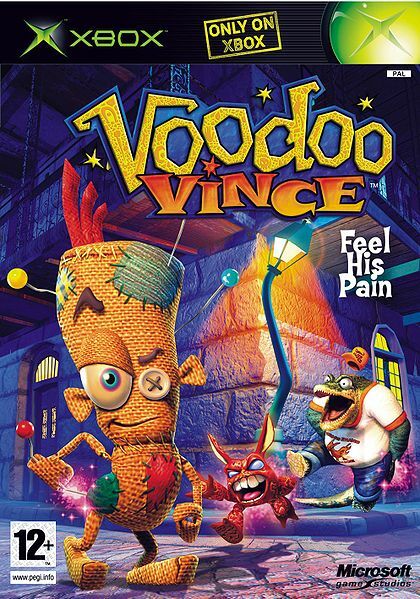 A tribute to classic side-scrollers, while possessing the elements of a great 3D adventure, “Voodoo Vince” is a hidden gem.